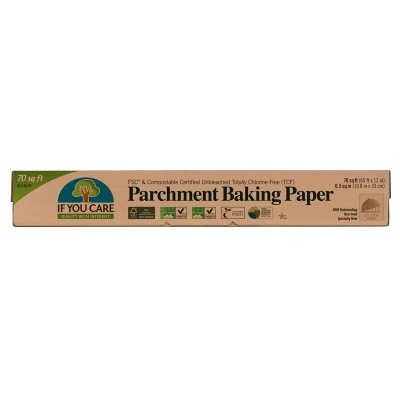 If You Care Parchment Paper is 100% unbleached and totally chlorine-free, so none of it, or its derivatives, end up in the sea or in our lakes and rivers. The paper has also been coated with environmentally friendly silicone on both sides, so no greasing is necessary. 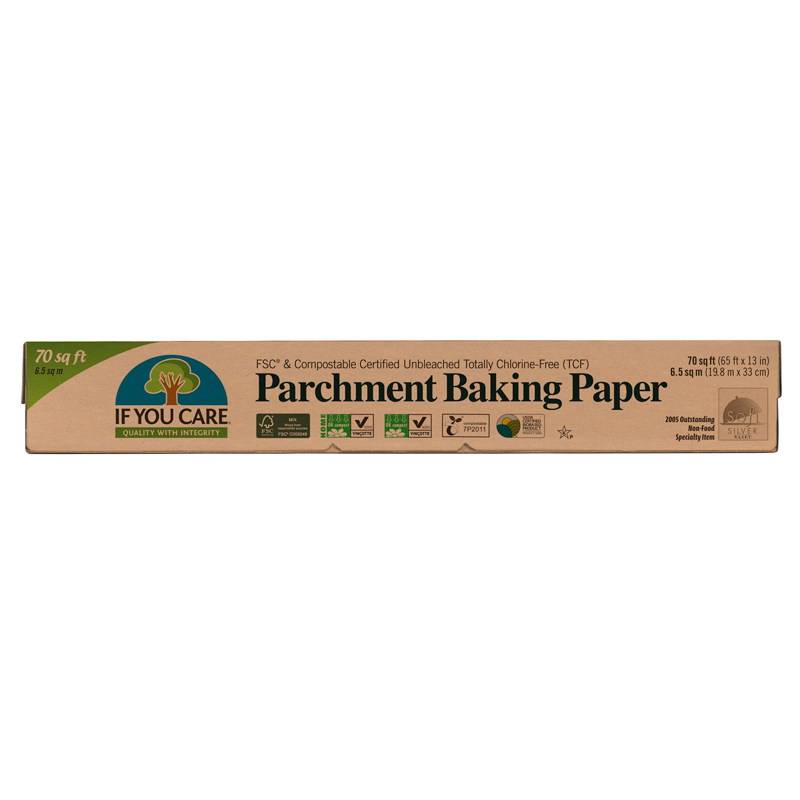 Lots of parchment papers are coated with a chemical containing chrome which, when incinerated, becomes toxic and leaves trace elements. And you can reheat a Pizza on it and the cheese doesn’t stick!